We do not judge with our own opinions but we judge according to God's word while we are judging ourselves by the very same standard! I've seen many professing Christians, unsaved people and even witches quote this Scripture [out of context] trying to close the mouth of a sincere and zealous believer. But they are most likely ignorant to its meaning. The Bible says that every soul will stand before God in judgment (Heb 9:27; 2 Cor 5:10; Acts 10:42). So whether we judge or not, we will all be judged anyway. So in the context people are trying to quote this Scripture doesn't make sense; “....that you be not judged.” It's not realistic. We will all be judged by God's Word. And God's Word says we must judge ourselves and every voice and every circumstance. The Bible-believer must judge himself first, and only then can we call on others to repent. 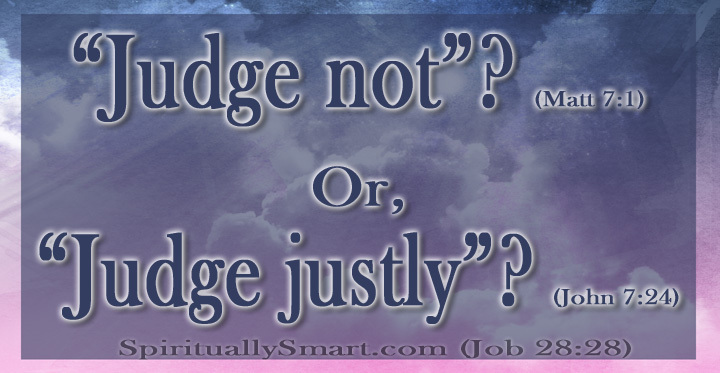 "Judge not", "that ye be not judged" means that we must not judge with our own judgment or opinions like the people often do who incorrectly quote this scripture in the first place. 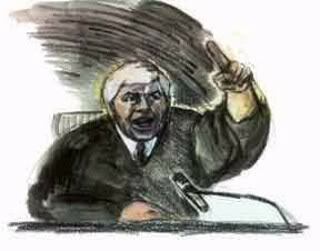 Jesus said to judge “Righteous judgment.” (John 7:24) In other words we must judge by God's holy Word. The Word (Logos) of God is God and only God the Word is righteous. We must judge ourselves first with God's Word. Then we will have a better chance on judgment day, because we are judging ourselves here and striving to keep God's Word with all our heart, mind, soul and strength! The Word of God will not change even if we didn't judge by it, we will still be judged by the Word of God either now or later. And I believe my understanding of these verses line up well with Hastings' Dictionary of the Bible entry for "Judging" (see here). And if you have never repented of your sins and been saved and feel the desire to do so now please say this prayer. This is how I was powerfully saved 20 years ago! "My Lord and my God, Have mercy on my soul, a sinner, I believe Jesus the Messiah died on the cross and shed His precious blood for the forgiveness of all my sins. I believe God raised Jesus from the dead and Jesus is now on the right hand of God and can hear my prayer at this moment and wants to live through me and give me power to keep His Word. I open up the door of my heart and I invite You into my heart Lord Jesus. Please be my Lord and Savior in every aspect of my life. Thank you God for saving my soul and I vow to serve you with all my heart which is the first and greatest commandment. Amen"